Scones. Check. Crustless Finger Sandwiches. Check. Delicate Pastries. Check. It can only mean one thing….. Afternoon Tea. 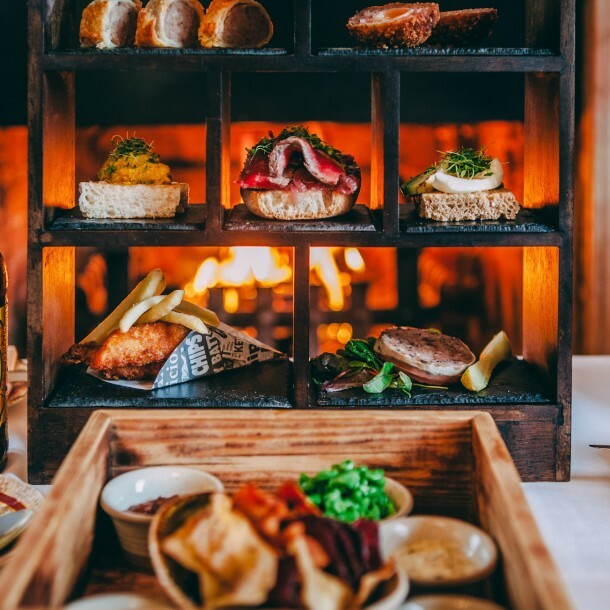 A time where you can get together around a smorgasbord of delectable delights, sip on tea (pinkies at the ready) and or champagne if you are feeling in the mood for a tipple. As far as themed weeks go Afternoon Tea week has got to be up there on the favourite list. Monday marked the start of this quintessentially British week and here are some Afternoon Tea ideas for you. Prepare yourself because who knew there were so many varieties, it’s not just about your scones and sarnies any more! Be our guest, be our guest, be our guest. 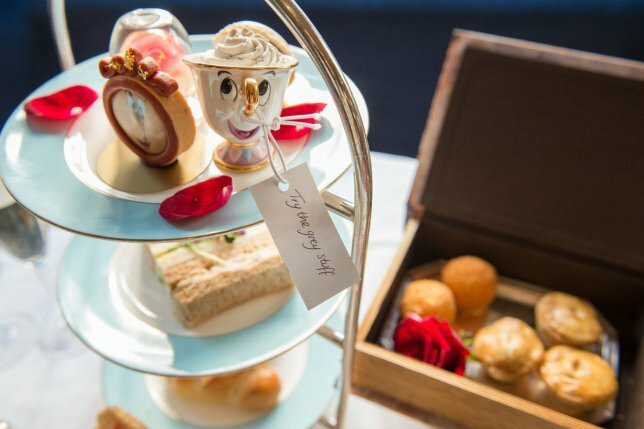 I am so happy that this magical Beauty and the Beast inspired afternoon tea has been extended and not surprising either given it’s popularity. Taking Afternoon Tea on the road. 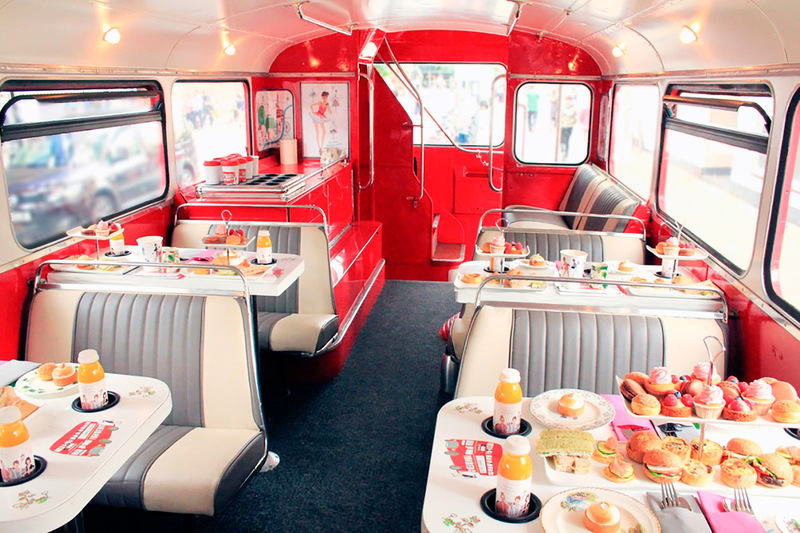 Sit back and relax while the vintage bus takes you on a tour of London’s most popular sights. Game of Thrones has had a sophisticated makeover and you can now experience it in the historic Ballygally Castle. Is it Afternoon Tea? Apparently so and boy does it look almost too magnificent to eat. From golden eggs to handmade candy floss and chocolate tea, this is a tea that Charlie and his Oompa Loompas would be proud of. I can’t help but think of the Friends episode with Chandler and his boat in the bubble bath. Any man can hold his head high at Afternoon Tea with this Gentleman’s display. Could this be the new sophisticated stag do? 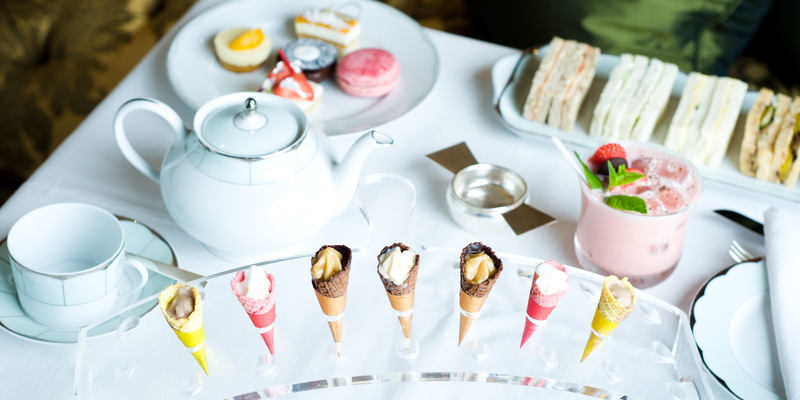 Ice cream AND champagne, this is literally my dream afternoon tea. 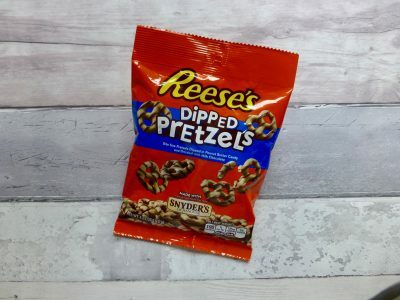 Strictly limited to the month of August you will have to be quick to experience this. 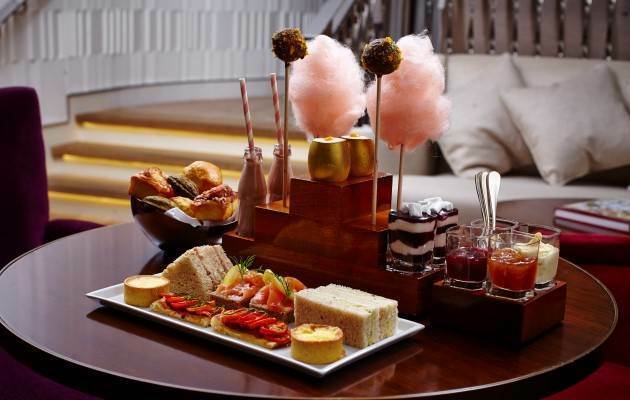 If not then The Dorchester has some other wonderful looking themed Afternoon Teas. 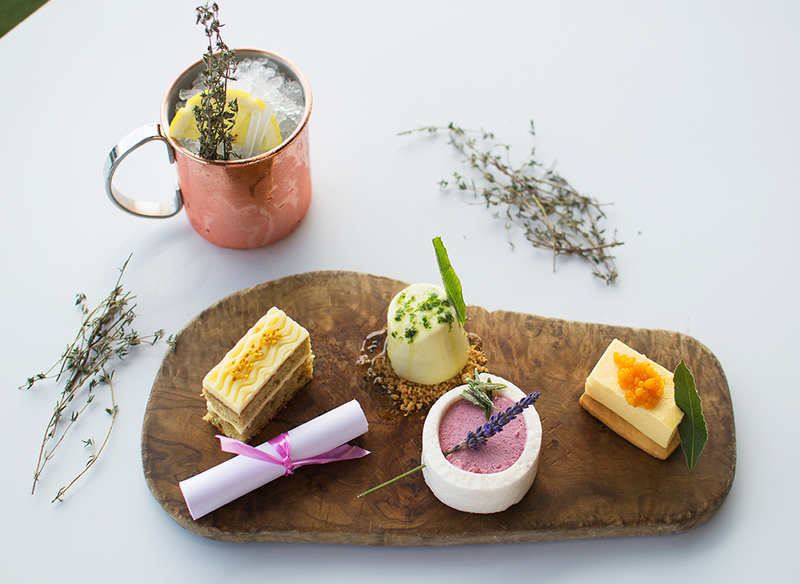 Transporting you out of this world with a selection of planet mousses, chocolate soil and dusting for dinosaurs, this afternoon tea experience even comes with a vegetarian and gluten free option. 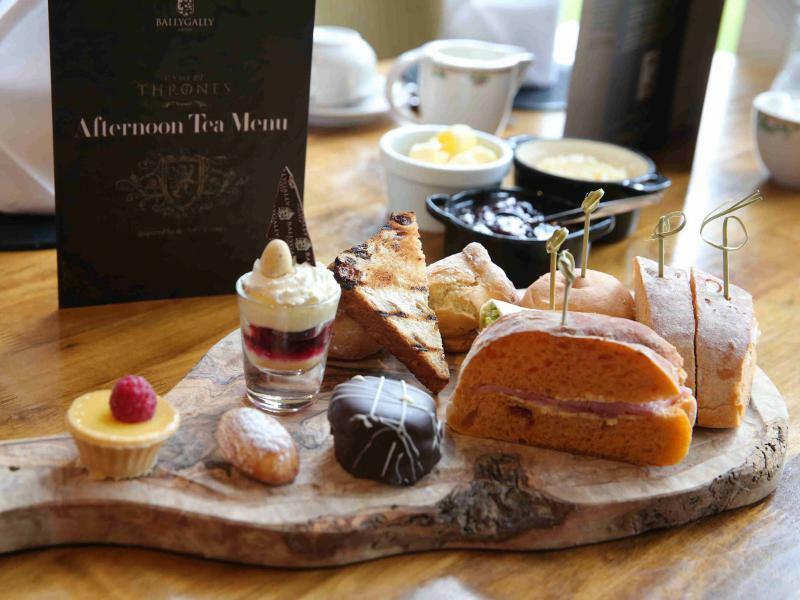 Do you have a favourite Afternoon Tea spot? Are you a traditionalist or like a themed number? I’d love to know. Y’know, come to think of it… I’ve never had an Afternoon Tea. It’s cute an’ all, but it’s always seemed a little bit finicky and fussy for me. 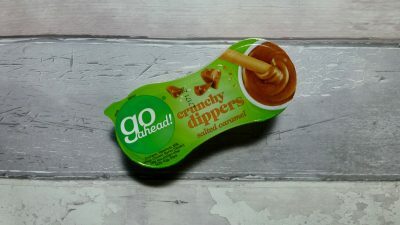 Dainty foods aren’t quite my style – which is perhaps why the Gentleman’s Afternoon Tea appeals to me out of this list. It’s chunky and substantial! I like it.